Viper Motorsports stocks a wide selection of custom wheels from your favorite brands. 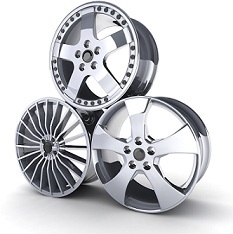 Get the perfect set of rims to complete your custom vehicle project today. Use our wheel visualizer above to browse our selection of wheels for sale and see what each style looks like on your vehicle make and model. We serve customers in Weatherford, TX, Fort Worth, TX, Mineral Wells, TX, and surrounding areas.